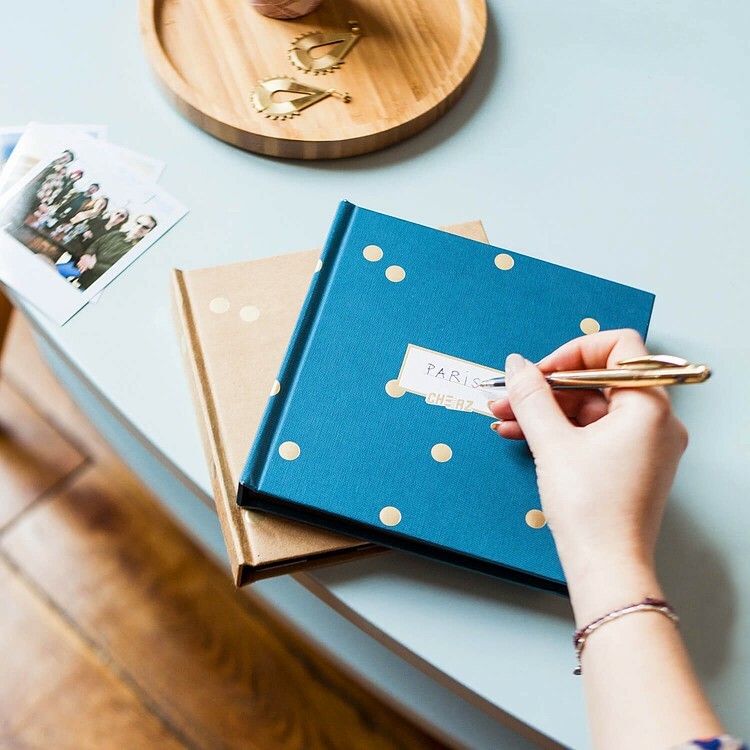 A beautiful photo album for you to create with 20 prints to stick in yourself. So 80s! Mathieu, one of our tech masterminds, has a childhood memory which has really stayed with him. He used to visit his grandparents every Wednesday afternoon and his Papy (his grandad who he called Pépé) would show him photo albums from younger times - Mathieu’s dad and uncles when they were little, military service, the country house near Agen... even though Mathieu didn’t really appreciate those Wednesdays at the time, he certainly remembers them fondly now. When we made our first photo album we were definitely thinking about Mathieu and those old photo albums. We took the same basic principle: an album that you could stick the photos in yourself. And we added a modern twist. 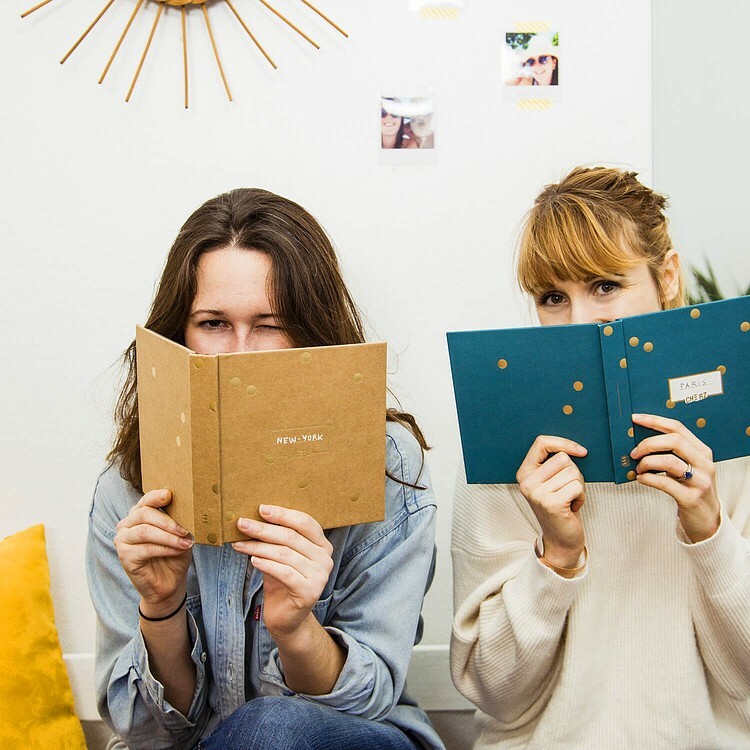 The DIY Book is black with an elegant hardcover finish. 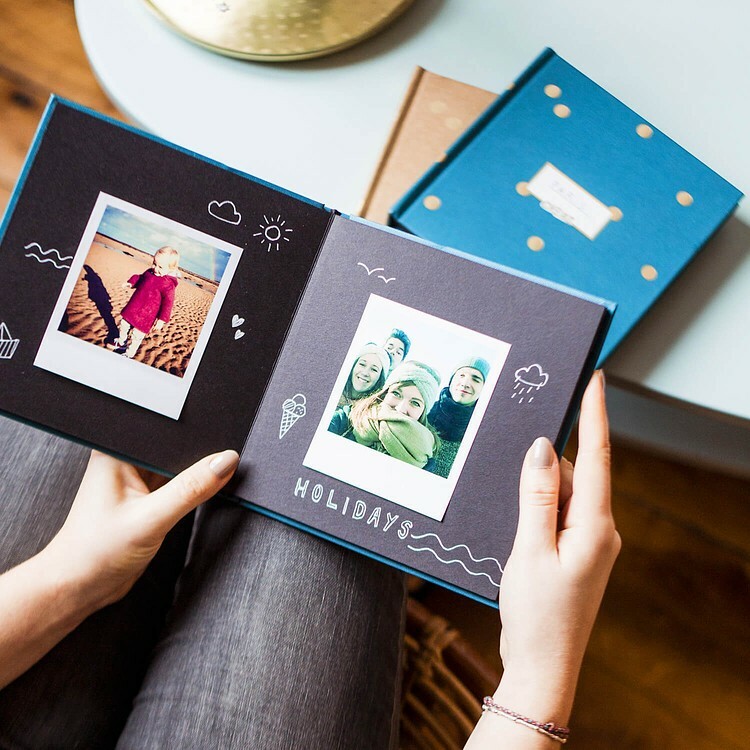 It has Layflat pages to make photos easy to see and traditional prints to ensure the best possible quality photos. The result? A unique album where the photos really stand out from the page. Just choose 20 photos. Then your DIY Book and the 20 prints will packed in an envelope and sent to you. 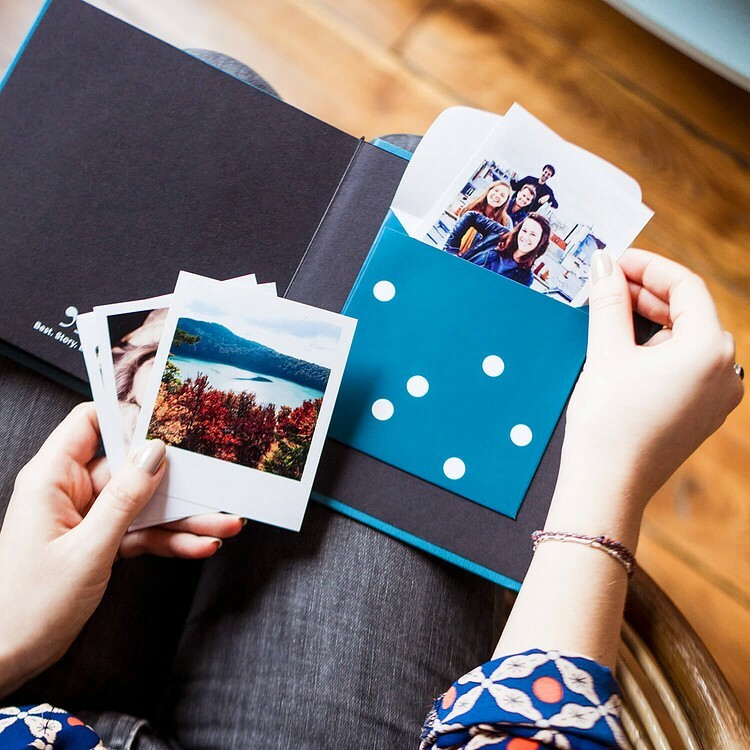 Each page has an adhesive section to stick in your photos. You can also add text and personalise it anyway you choose. Then leave it on your coffee table and lose yourself in those memories any time you please! It couldn’t be easier to make one for yourself!